In an age where time is a precious commodity, minutes – and even seconds are becoming more and more valuable. And this is why widgets are so important. The basic difference between apps and widgets is that you have to open an app to access its functionality, whereas a widget functions in the foreground and thus saves you precious seconds. Everybody needs a clock, but this is no average clock. Dashclock is customisable with various extensions including world time, battery stats, weather updates, and even a word of the day. You can also customise the way it looks. 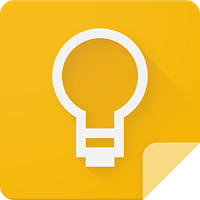 The Google Keep app is great for things like making notes, drawing up to-do lists and saving images, but the widget is essential for seeing everything you kept with the app in one place. It can easily be set up on your home screen and syncs smoothly and quickly over multiple phones and tablets. If you are a Twitter fan Plume lets you set up more than one Twitter account if you need to. If you set it up full-length on the home screen it makes replying and re-tweeting super-quick - and it updates Tweets in real time. Power Toggles does exactly what it says on the tin, it toggles powerfully between functions like GPS, Mobile Data, WiFi and more, saving users a good few swipes and taps. If you are into epic looking home screens and creating your own custom widgets, the Zooper Widget is for you. It is all about preferences and the possibilities are endless. There are tons of widgets available for Android phones and tablets – if you can think it up, it's probably out there.